In honor of national Women’s History Month in March, West Virginia Northern Community College is hosting a special History Alive Lunch & Learn presentation on all three campuses featuring Eleanor Roosevelt. 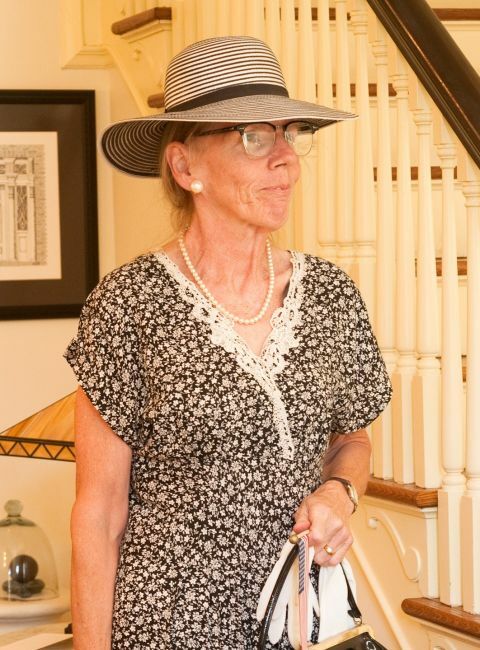 The famous First Lady will be portrayed by Patty Sue Cooper of the West Virginia Humanities Council. Roosevelt, who was born in 1884 and died in 1962, changed how the public viewed the role of the president’s wife. Her life story has been told in numerous books, films, plays and television programs. She was a vocal champion of social reform and human rights, traveled widely representing the president, authored books, wrote newspaper columns and visited troops during World War II. The audience will get the opportunity to question her during the college events. The free and open to the public presentations will be held March 28 in the Wheeling campus Student Union, March 29 on the Weirton campus in Room 243 and March 30 on the New Martinsville campus in Room 110. The programs are special Lunch & Learn events, with lunch served beginning at 11:30 a.m. and the presentations at noon. Those wishing to attend must RSVP to Student Activities Program Coordinator Ida Williams by March 23 at either iwilliams@wvncc.edu or by calling 304-214-8917. Please specify attendance date and location with the RSVP. Parking is available in the Barnes & Noble lot in Wheeling and in lots adjacent to the Weirton and New Martinsville campuses.